From the Amazon Folks Support our site! Bell Pedal Gotta Have One! The List! 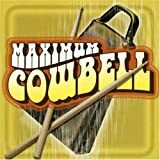 Here are the Cow Bell Songs We All Love! Did we miss one? Add your song by email and yes we have missed a few. We update when we can!. Only REAL CowBells! No reproductions here! Iron Maiden Can I Play With Madness?